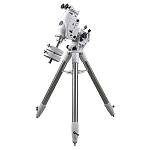 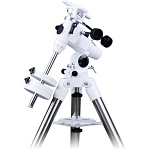 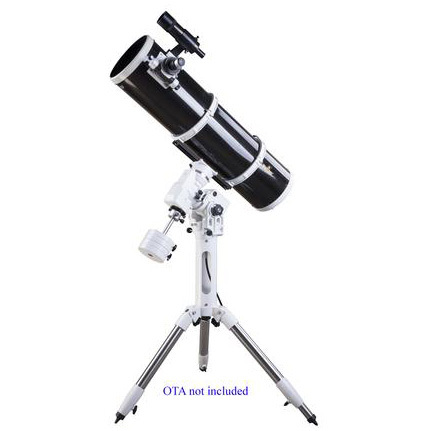 Designed and built to provide a versatile platform for astronomers and astrophotographers of all levels, the Sky-Watcher AZ-EQ5 Equatorial / Alt-Az Motorized GoTo Mount is outfitted with precision motors, a quiet low-backlash belt drive, a computer controller and sturdy tripod to provide an ideal platform for observation and imaging. 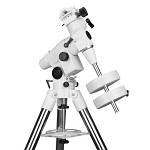 This unique mount ships configured as a German Equatorial mount capable of long-term RA tracking when properly polar aligned. 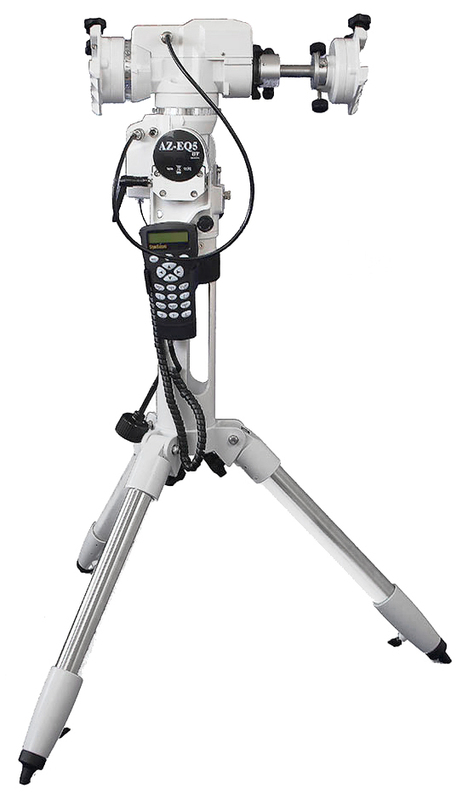 To expand its versatility and usability, it can be reconfigured to an alt-azimuth mount, and with a simple mode change on the hand controller it will function flawlessly with dual-axis tracking. 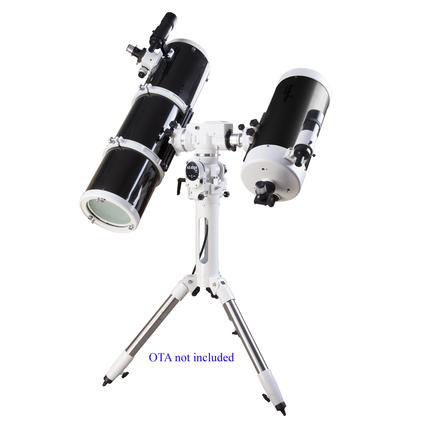 For star-parties or separate observation and imaging rigs, it can be converted to a dual-OTA set up. 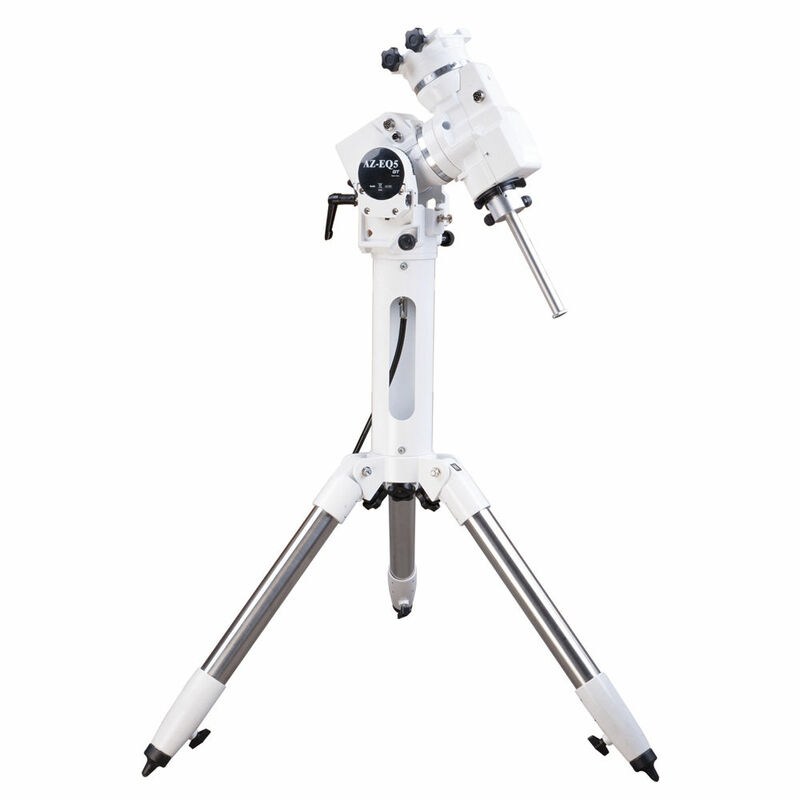 The SynScan system has an internal database of 42,900 celestial objects including the complete Messier, NGC and IC catalogs and 25 user-defined objects. 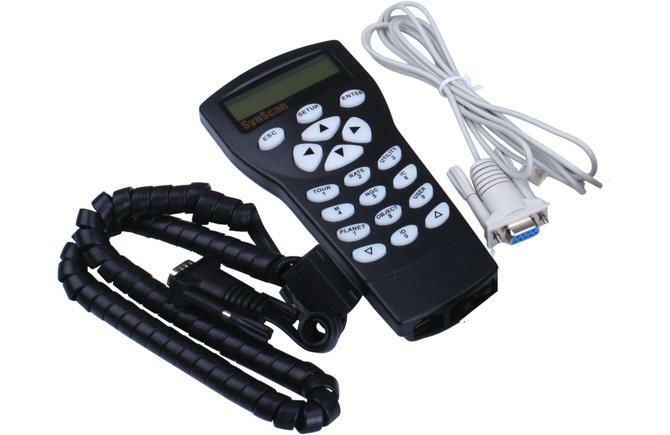 To keep it current its firmware is updatable through the built-in serial port via updates downloaded through the Internet. 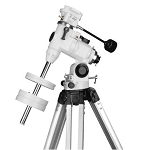 With multiple alignment options, ten slew speeds, and automatic tracking capabilities, finding and keeping objects centered in the field of view is easy no matter if you're viewing the fast-moving Moon or much slower deep space subjects. 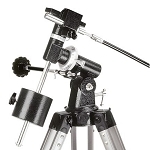 Box Dimensions (LxWxH) 35.0 x 25.0 x 18.0"